I created this blog with the aim of inspiring people to be creative. Whether it’s using one of my knitting patterns, trying out my DIYs, or cooking with one of my recipes, I hope that you leave here and make something! 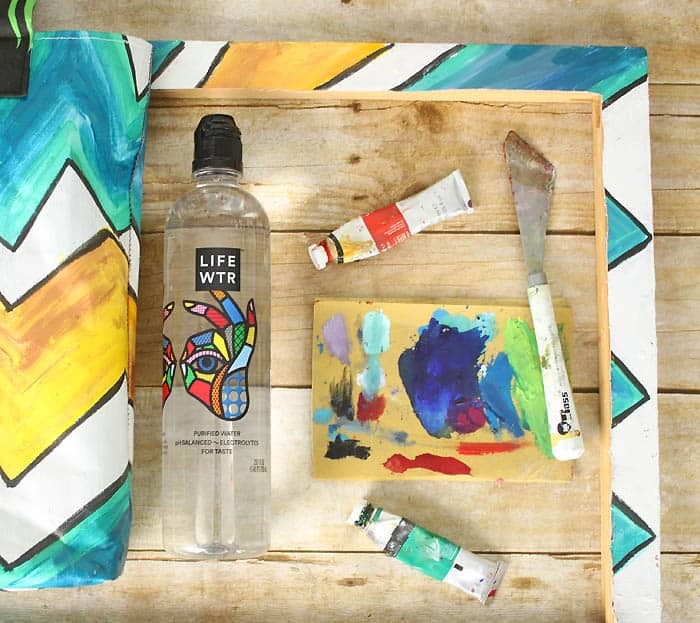 I’m so excited to be working with LIFEWTR because they are all about igniting creativity through inspiration. 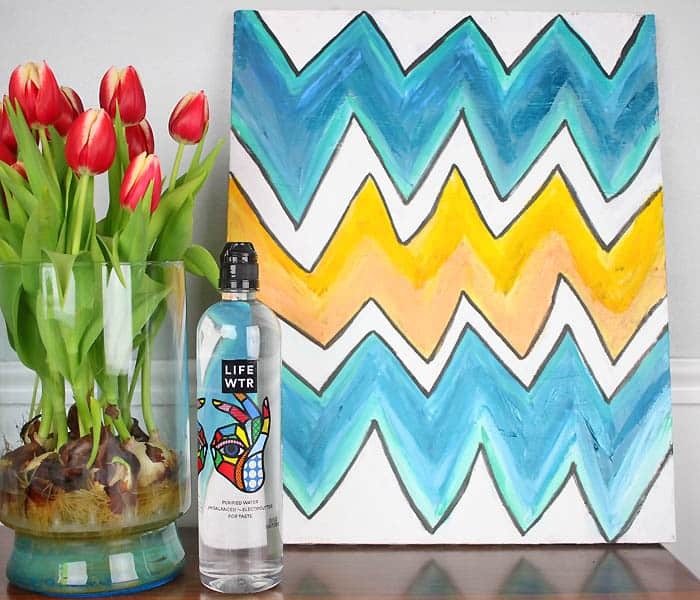 LIFEWTR is premium bottled water that is pH balanced with electrolytes for taste. You don’t have to run to over-priced markets to find it either- LIFEWTR is available at 7-Eleven! Growing up in NY, art is a part of daily life. It’s everywhere from the architecture to the graffiti on the buildings to the street style of the people. 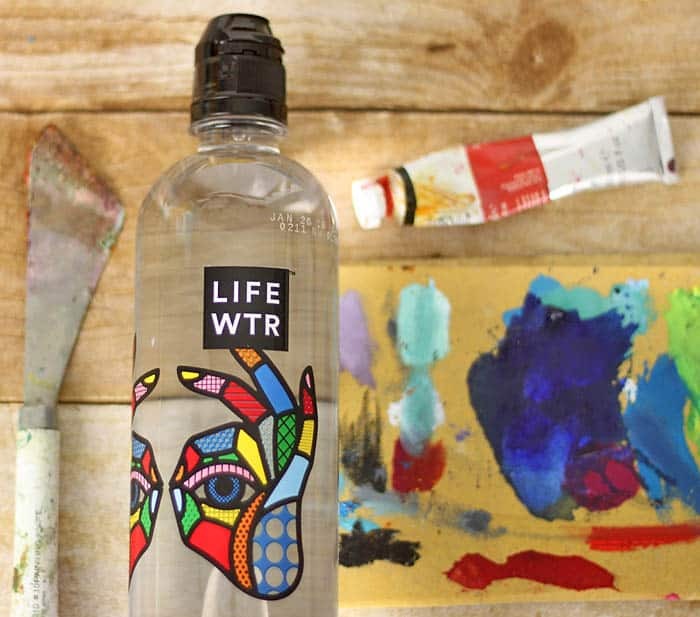 I love how LIFEWTR took something mundane, like a plastic bottle and turned it into portable art (with the help of some very talented artists). 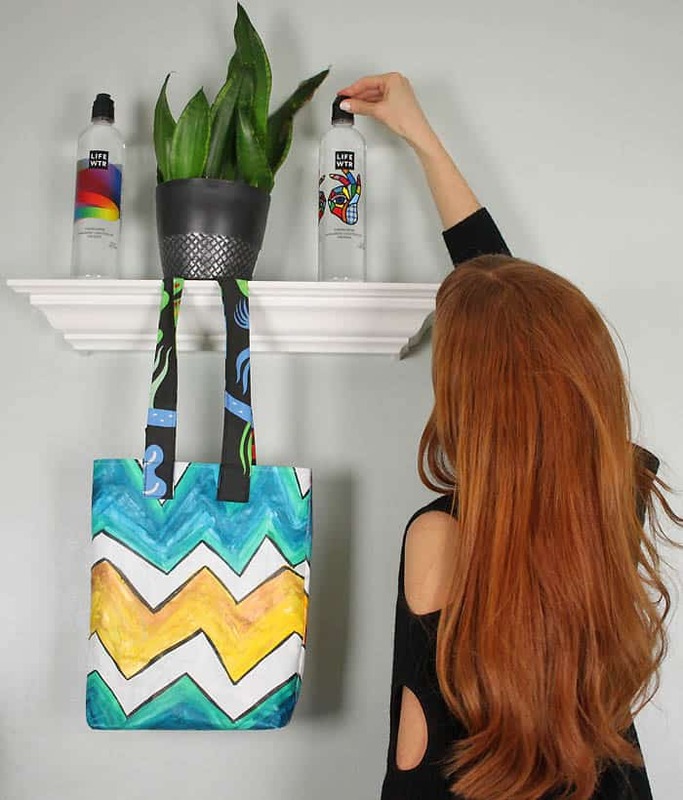 Taking my cues from LIFEWTR, I decided to create my own portable art in the form of this Painted Canvas Tote DIY! Inspiration is as essential to life as water. Let’s start creating! 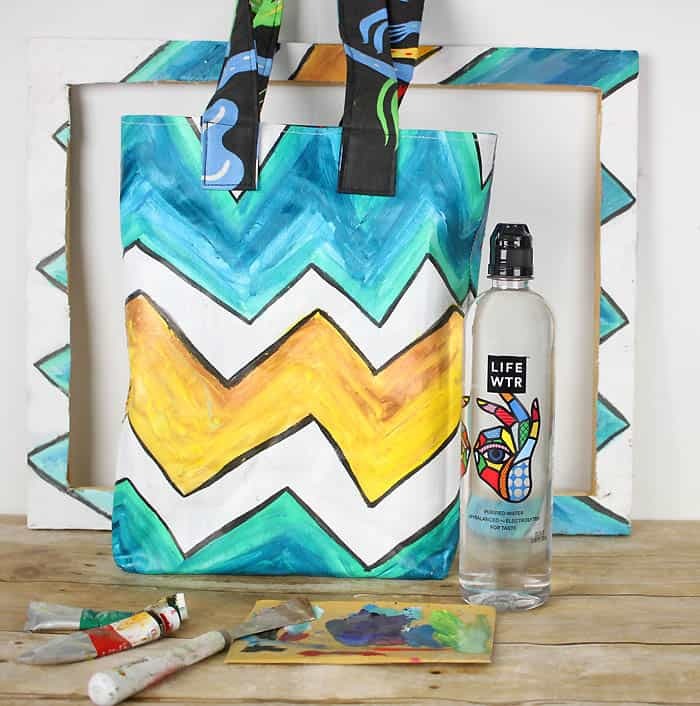 I really love this Craig & Karl designed LIFEWTR bottle. 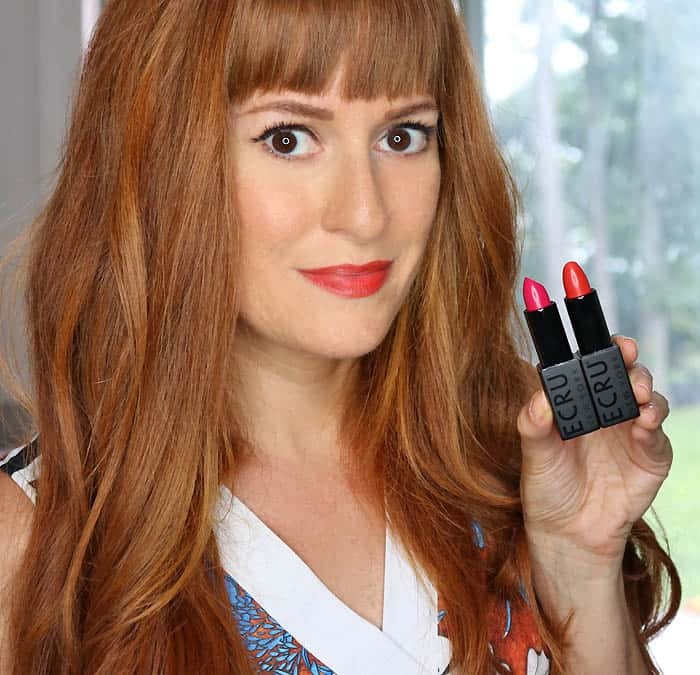 It’s upbeat, urban and colorful- all things I love! 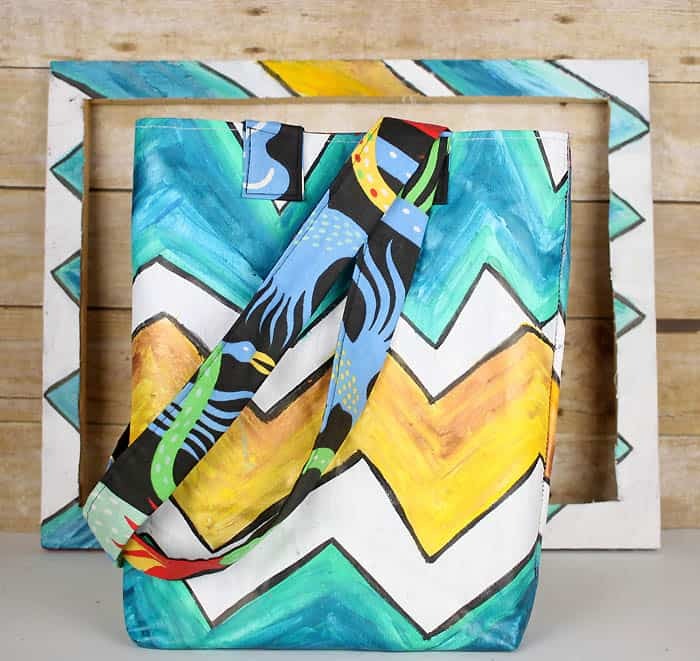 I used the bold colors and the black outlines as inspiration for my painted tote bag. Begin painting your canvas. 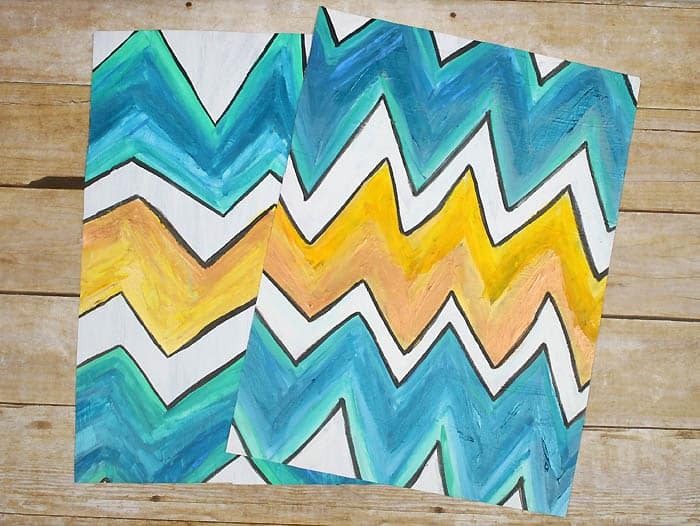 Waves (as well as geometric shapes) are easy to paint and they have a big impact! I chose a limited color palette so the finished tote wouldn’t look too busy. 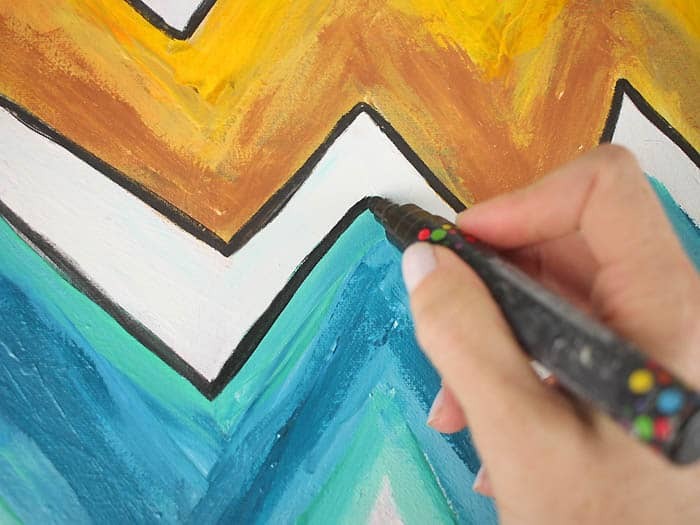 After the paint is dry, trace around your shapes with a black paint marker. This really makes them pop! 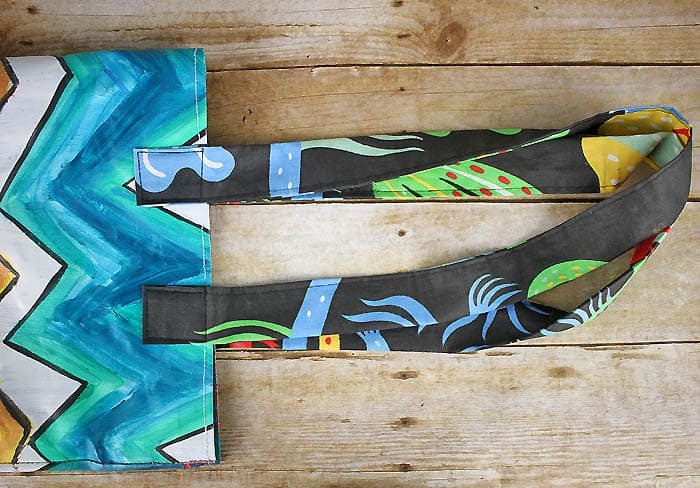 Paint 2 canvases- one will be the front of the tote, the other will be the back. 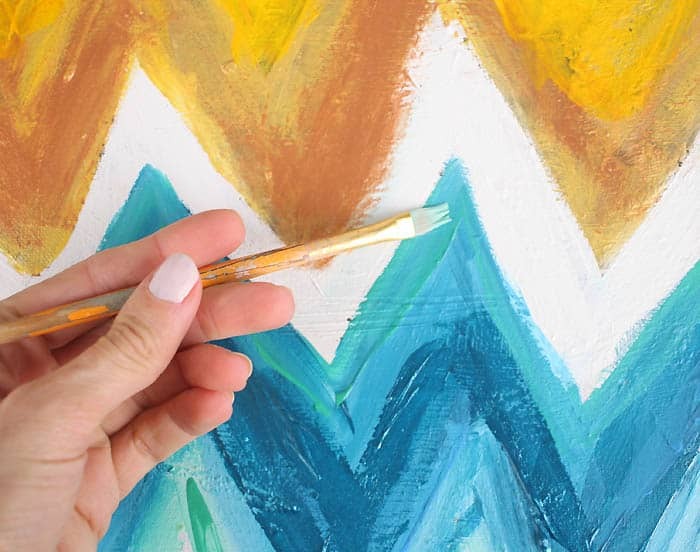 Cut the canvas away from the frames carefully using a knife. 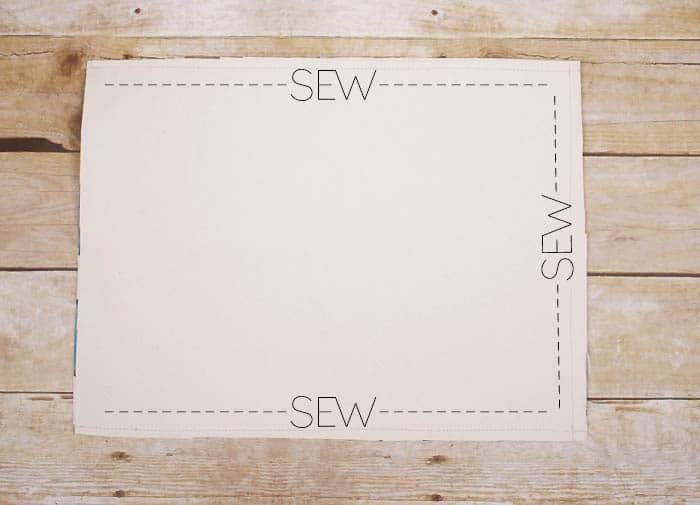 Using a ruler and a pen, make sure all the edges are straight and trim away any excess. If you don’t have 2 even rectangles your tote will be crooked. Place the painted sides together and sew around the 2 longer sides and the bottom of the shorter side. At each bottom corner measure in 1 inch and sew across. 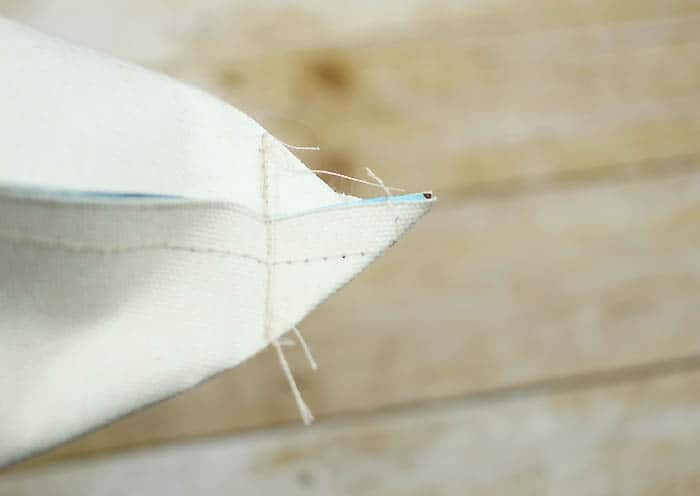 Sew back and forth a few times to make sure your stitches are reinforced. This creates the bottom of the bag and gives it a nice shape. Fold over the top edge of the tote approximately 1 inch and stitch down. Lastly, sew on the handles. 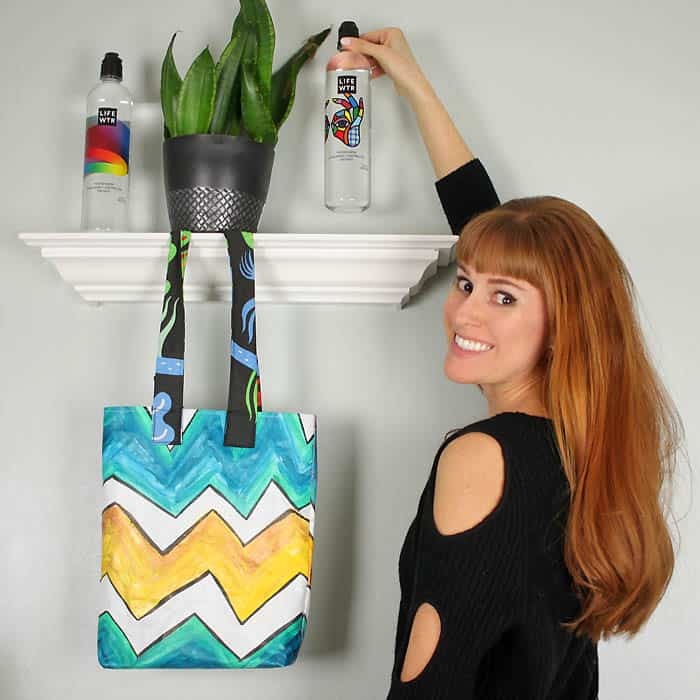 Voilà- you now have your very own art tote! 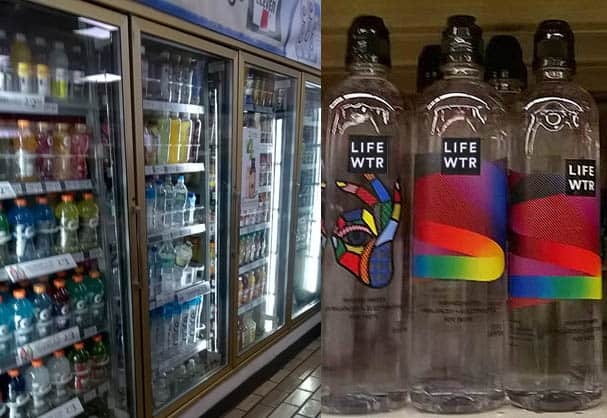 Next time you pop into your local 7-Eleven, be sure to pick up a bottle of LIFEWTR available in the beverage section!